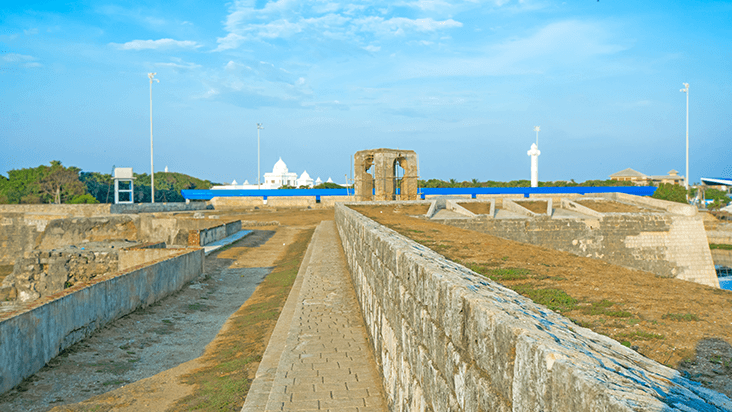 Jaffna is the cultural town of the Tamil people of Sri Lanka and is the northern capital . Many travellers are keen to explore the North Coast of Sri Lanka to see the history, beaches, culture and dine in local restaurants. Then we take you to the famous cultural triangle of Sri Lanka to see historical cave, temples and sites from centuries ago. Take the tea route through gorgeous green plantations back to Colombo. Our Classic itineraries cover the key attractions with carefully selected experiences to ensure you get the most out of your holiday. Classic itineraries include time for relaxation or for adding extra activities. Discuss itinerary options and extensions with our Asia Travel Experts. Meet and assist on arrival at Airport by our Representative. Proceed to Kalpitiya and check in at hotel. Rest of the day will be at leisure. 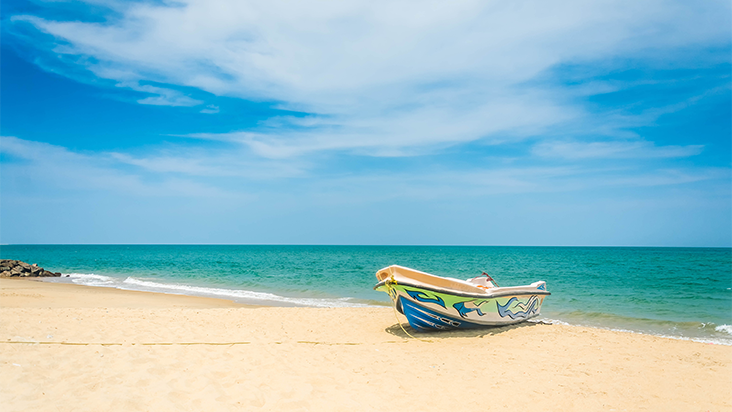 Itinerary Option: If you wish to spend some more time in Kalpitiya before starting your tour, discuss additional nights in Kalpitiya with our Asia destination experts. After Breakfast at the Hotel proceed your way for an Boat ride safari at the lagoon. Your boat ride will take you across the pristine waters of the Lagoon in Kalpitiya towards the sand dunes and Salt Pans in a distance. The little fishing villages and local community living on the border of the Lagoon and the stretch between the lagoon and the mighty ocean show how the locals use the available natural resources. From small fishermen to the large-scale fishermen share the same space in the lagoon. 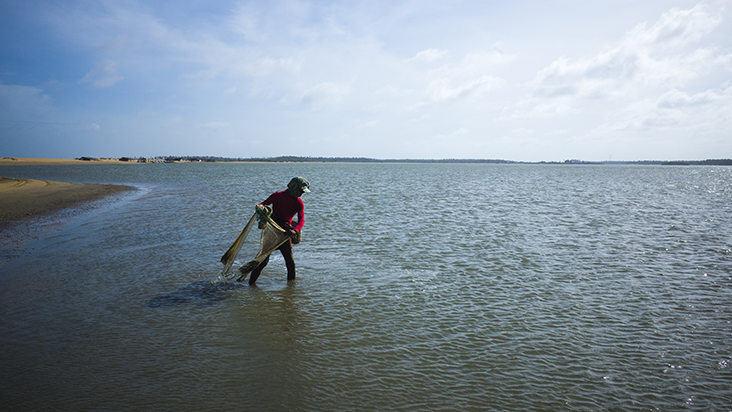 Shrimp farms which are a booming business in the Lagoon area of Kalpitiya can be observed in a distance. For the Nature lovers, both young and old, the time on the boat will give you a delightful surprise of the Marine life in the Lagoon. 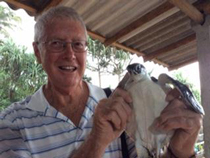 One can have a closer look at the diversity of Flora, Fauna, and bird’s endemic and common creatures to the area that make the Lagoon their habitat. On completion return to the hotel & spend the rest of the day at your leisure. After Breakfast at the Hotel spend the rest of the day at leisure. Please note that the Client will have the vehicle and driver at their disposal for a maximum mileage of 80Kms. After Breakfast this morning you will check out from the hotel & continue your way to Jaffna. On arrival check in at the hotel & spend the rest of the day at your leisure. After Breakfast at the hotel you will spend your day at leisure. Kindly note that the vehicle and driver will be at client’s disposal for a maximum mileage of 100kms for the day. Clients may use the vehicle to explore the city of Jaffna with the assistance of the chauffer guide. Possible places to visit includes the Jaffna City center, Old Dutch Fort, Nallur Hindu Temple etc. On completion proceed back to the hotel & spend the rest of your day at leisure. After Breakfast this morning you will Check out from the hotel & hotel & continue your way to Dambulla. 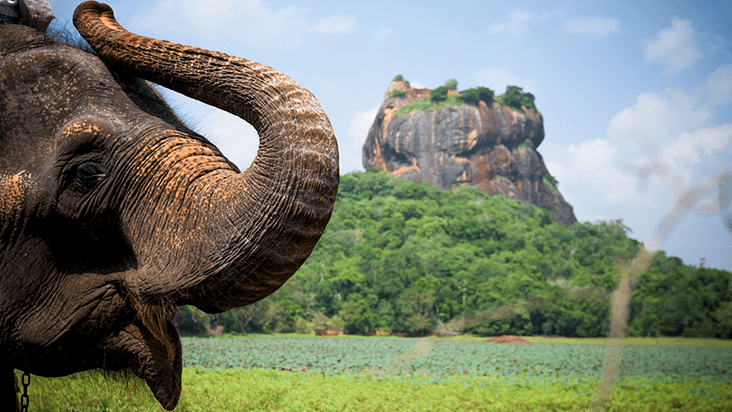 After Breakfast at the hotel proceed to visit the famous Sigiriya Rock Fortress. On arrival embark on a guided tour to the peak of the rock fortress. The 5th century rock citadel of King Kasyapa and World Heritage Site - Sigiriya - doesn't only boasts of ancient Sri Lankan engineering & urban planning supremacy but also acclaims to be one of the finest monuments of art & culture. Step through the gigantic 'Lion Paws' - overlooking the symmetrical royal gardens below - to comprehend the absolute splendour that once dominated this rock fortress. Surrounded by ramparts & moats the Lion Rock - resembling the mythological 'City of Gods' - is coated by frescoes that relate to Gupta style paintings found in Ajanta caves of India. Walk in the shade of an eminent 'mirror wall' embracing the Western face of Sigiriya representing an artistic hundred meters laminated with graffiti. Wander into the well-fabricated museum downstairs for an epic journey of yesteryears to realize how the citadel floated above citizens with the castle, ponds and irrigation systems that pumped water right onto its summit with an ingenious hydraulic system describing a colossal masterpiece of the great king which remained a wonder in Asia for centuries. On completion proceed to Polonnaruwa. Embark on a guided city tour on arrival. Rising with the decline of Anuradhapura, the city of Polonnaruwa - medieval capital & crown jewel of King Parakramabahu I - remains superior proof of ancient culture & heritage blended with religious beliefs. 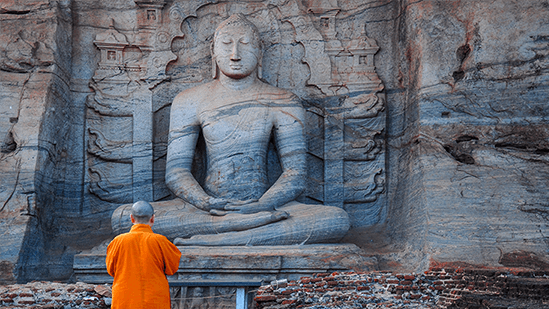 Walk across its scattered walls of the World Heritage Site - blessed by stupas, resting Buddha statues, irrigation canals and fantastically carved Hindu sculptures - while observing the relic house - Watadage - which boasts of beautiful stone carvings. Take a close glance and you will realize a subtle Hindu influence on architecture and statues found in Polonnaruwa. Or sit by the side of Galviharaya and observe the absolute beauty gushing out of every bend of its huge Buddhist statues. Nissankamalla Council Chamber is a head-spinning beauty to just sit back and observe with its swaying pillars reminding the aesthetics of a powerful kingdom which rests beside Parakrama Samudraya - sea of Parakramabahu & masterpiece of irrigation! After Breakfast at the hotel you will check out from the hotel and continue your way to Kandy. En route visit the famous Dambulla Rock Temple. In the city of Dambulla lies a hub, which has been treasured by many kings since the 1st century B.C. Today, an icon in the face of Sri Lanka, Dambulla Rock Temple houses some of the most unique drawings in magnificently constructed 5 cave temples flanking the golden temple of Dambulla. Observe how exquisitely cave paintings are done along walls that shelter 150 statues of Lord Buddha. As you enter the retreat, look straight up to the gigantic Buddha statue glittering in gold over a land, which today houses an important junction in the country's economic and cultural uplifting. 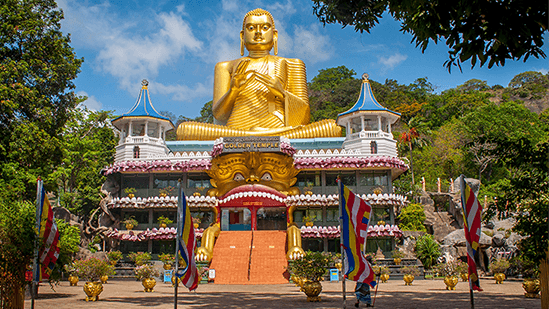 Once the visit to the Dambulla Rock temple is complete you will proceed your way to Kandy. En route visit a spice garden in Matale and you will embark on a tour to learn on various Spices are grown & processed. An agricultural zone in the Central Province, Matale seldom drops off the maps due to its remarkable contribution through flagship crops of the island extending from tea, rubber & vegetables to spices. Spearheading the Rebellion back in 1848, Matale today takes immense pride in its story woven around spices. Stop by the side of a spice garden - into which you will be most welcome - and observe the therapeutic values of spices & processes over a refreshing cup of herbal tea! Or spend some time idling on the hardened streets if you mean a real town adventure filled with voices and colours. On completion proceed to the hotel. Check in on arrival & spend the rest of the day at your leisure. After Breakfast at the Hotel visit the Royal Botanical garden in Peradeniya. First developed as a pleasure garden under royalty and later harmonized by the British, the Royal Botanical Gardens of Peradeniya - today bundled with the most welcoming facilities located just 4 miles off Kandy - is a flourishing national asset in the Wonder of Asia. Walk into this 147 acre bliss of an experience, passing well tended lawns, pavilions & an octagon conservatory to be greeted by the vast expanse of a magnificently landscaped lush green turf which will encourage you for an exhilarating break. Towards the north of the entrance rests a cafeteria that one might come across before stepping into some of the highlights - the orchid house & giant Javan fig tree - of this place which overflow in grace. On completion proceed to visit the Kandy temple & on a guided Kandy City tour. Last ruled by King Sri Wickrama Rajasinghe - before it was brought under the British rule in 1815, Kandy - the World Heritage Site & last royal capital of Sri Lankan kings - crafts an array of culture, history and heritage in the minds of visitors across the globe. Experience an ancient Kandyan legacy engraved around its crown jewel, the temple of the sacred tooth relic of Lord Buddha. A stroll across this small lakeside town - cradled among the misty hills - will feature the Kandy City Centre - bundled with latest and world class brands, bazaar, an arts & crafts centre, as well as a gem museum & lapidary. Walk in colour as you glide through fresh fruits and vegetables in the Kandy market. After Breakfast at the hotel you will Check out from the hotel & continue your way to Nuwara Eliya. En route visit a Tea plantation. Sri Lanka, Tea and Tourism are words which cannot be separated. 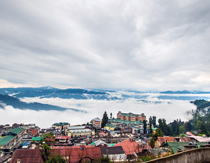 Take a tour to the cold & misty hills that take pride of an ultimate tea tour, covering lush green blankets of tea plantations. Or just step into a tea factory processing the prestigious brand of Ceylon Tea, to observe a rich tradition kept alive up to date. As you observe the hissing and swishing of machines, inhaling the heavenly scent arising from these facilities, make sure to end your day in style over a perfectly blended cup of pure Ceylon Tea. This morning after Breakfast at the hotel you will Check out and proceed to the capital city of Colombo. On arrival embark on a guided City Tour. The throbbing metropolis, Colombo - located in the West - is not only the country's commercial capital, but also the turbine that impels above 50% of the national GDP flanking Colombo's fancy urban development effort. Drive along the clean streets edging the crystal white Race Course - horse racing hub in 1893 & World War II airstrip - furnished today with lavish clothing, food & tea boutiques. Meanwhile, ride to Pettah & tune into the Floating Market - an offbeat shopping experience - or feel the buzz surrounding the upcoming inspiration, the Colombo Port City - an offshore city - featuring parks, commercial complexes & even an F1 track! Head along Bauddhaloka Mawatha towards 'Arcade' facing a historic waypost, the Independence Square. Every designer boutique, top-notch cuisine outlet and even the 'walk-over fish tank', have revamped this colonial masterpiece into one of the trendiest shopping and hangout zones in Sri Lanka. Have a chilled beer at the Dutch Hospital while gazing through fancy windows showcasing best fashion, jewelry & handicraft brands. Smell the scent of incense while listening to the chiming bells of Gangarama temple. Or, jazz up to Colombo's night life spiced by night clubs & casinos that borderline its bustle. If you're lucky, head into an exhibition at the Bandaranaike Memorial International Conference Hall (BMICH) before swaying your head to an opera or play at Nelum Pokuna that should just drive your day into perfection! After Breakfast at the Hotel Check Out and proceed to the Airport in time for your departure flight. Accommodation each night of the itinerary (excluding your departure day). All GetAboutAsia accommodation is handpicked by us. Upgrades are available for this itinerary. Coffee, tea and water as well as all locally made alcoholic beverages. The above is only an example itinerary and sights visited might change due to weather conditions.